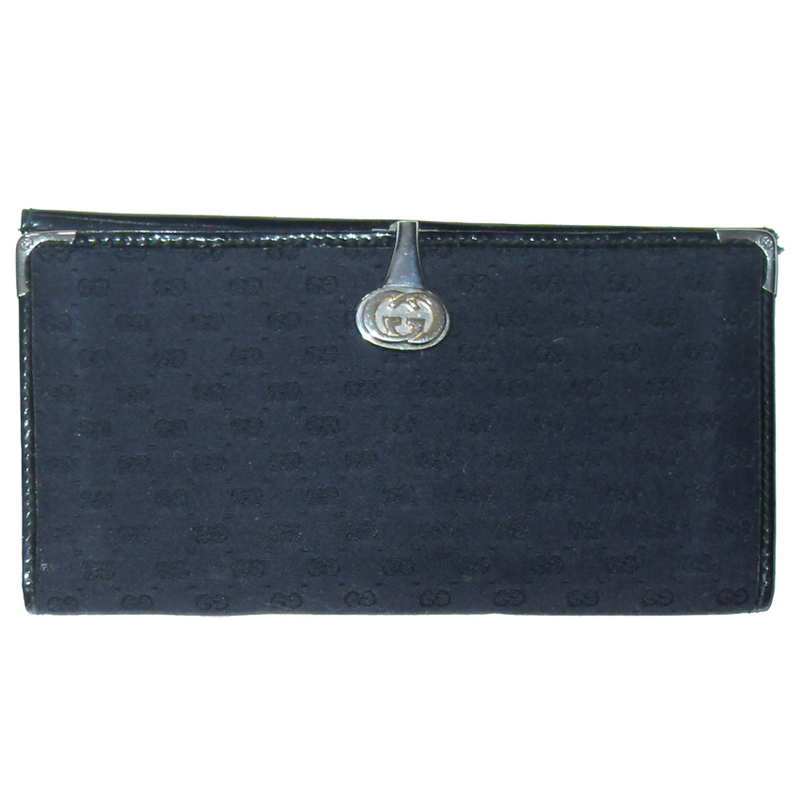 Vintage Gucci black fabric and leather purse wallet with a gold tone metal clasp with the GG logo which lifts to reveal a black leather interior with pockets for notes and cards. On the other side there is a black patent leather popper closure flap with one pocket. Measures 7.5″ (19cm) x 4″ (10cm).